Your liver is an essential organ for processing nutrients from food and helping your body eliminate toxins. Whether you have a healthy liver, asymptomatic fatty liver disease or cirrhosis, which is permanent liver damage, you can choose foods that promote liver health. Avoid excessive drinking, and talk to your doctor for additional information. Eat more whole grains instead of refined grains to promote a healthy liver. According to a report in the May 16, 2013 issue of the "International Journal of Endocrinology," increasing whole grains helps fight and prevent liver disease by reducing food intake, reducing inflammation throughout the body and increasing healthy gut microbiota. Whole grains are also recommended for their ability to lower the risk of obesity, heart disease and diabetes. Try oatmeal, whole wheat bread or pasta, brown rice and whole-grain cold cereal. Eat a diet with plenty of fruits and vegetables to maintain your liver health, according to the Langone Medical Center. Most fruits and vegetables are beneficial for weight loss or maintenance because they are low in calories and fat, but high in water and dietary fiber. The balance of the calories you consume and the calories you expend, or burn, determines whether you gain, lose or maintain your current weight. With your doctor’s approval, include regular physical activity to burn extra calories and control your weight. Unsaturated fats can be healthy for your liver, according to a study in the May 2012 issue of the "American Journal of Clinical Nutrition." Intake of healthy fats, such as mono and poly-unsaturated fats, actually reduced the amount of fat in the liver which protects it from liver disease. 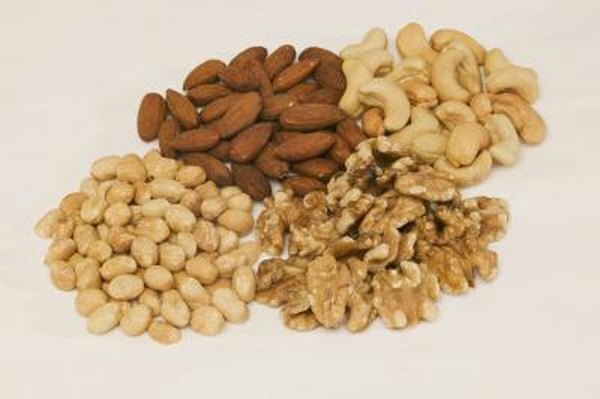 Good sources of monounsaturated and polyunsaturated fats include peanuts, tree nuts, olive oil, canola oil and soybean oil. You can get healthy omega-three fats from walnuts and flaxseed. Saturated fats and trans fats place are stressful for your liver because they make the liver synthesize more cholesterol. Limit fatty meats and dairy products, butter, fried foods and partially hydrogenated oils from packaged snack cookies and crackers. White-meat chicken or turkey without the skin, seafood, beans, soy protein, egg whites and fat-free dairy products are high in protein and low in saturated fat. An advantage of fatty fish and shellfish is that they contain omega-three fats called DHA and EPA, which may lower your risk for heart disease as well as promote a strong liver. If you develop cirrhosis or liver failure, you may need to reduce the amount of protein that you eat because your liver may no longer be able to process excess amounts.